We want to let you know about some very exciting news! We are changing our name! (insert drumroll please!) To… LLL Sussex. This change has come about because of our ever-expanding reach and wanting to make sure mothers searching for help to find us with ease. We grandly welcome to our team of leaders Iona who was previously LLL East Sussex. We will be running meetings throughout Sussex, currently they are in Horsham, Patcham, Hassocks, Forest Row and Chichester and hopefully will begin expanding as the year goes on! Some of our local LLL leaders have been busy this autumn attending conferences. On 28-29th September Sue, Efrat and Sophie travelled to Derbyshire for the amazing two-day LLLGB Conference with high profile speaker Nancy Mohrbacher and Meg Nagle. along with other guest speakers and workshops run by LLL Leaders. 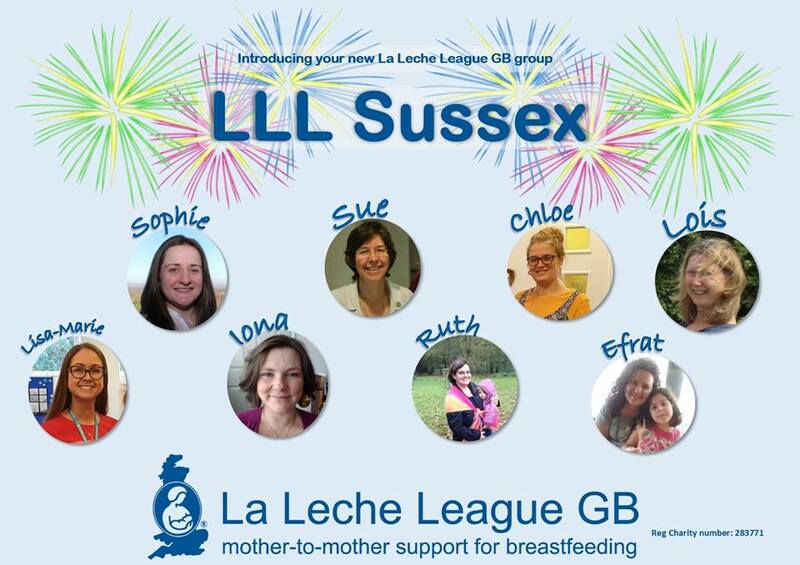 On October 13th we were at Brighton University for the more local Brighton Breastfeeding Conference, featuring guest speakers Maureen Minchin and Wendy Jones. There was so much to learn from every speaker and session that will help us offer better support to all the mothers who seek out help from LLL. . Here you see us busy with the LLLGB Shop stall showcasing the range of fantastic books and leaflets sold in our online shop. From July 2017 Sue will be available monthly in Haywards Heath for one-to-one support at the Sweet Wrappers Sling Library Drop-in. More details on our meetings page. ​Thank you to everyone who took part in our sponsored bluebell walk and to those who donated. A total of £537 was collected so far nationally, covering the cost of running the national helpline for 97 days!! ​From April 2016 the Horsham meeting venue will move to Southwater Children and Family Centre.